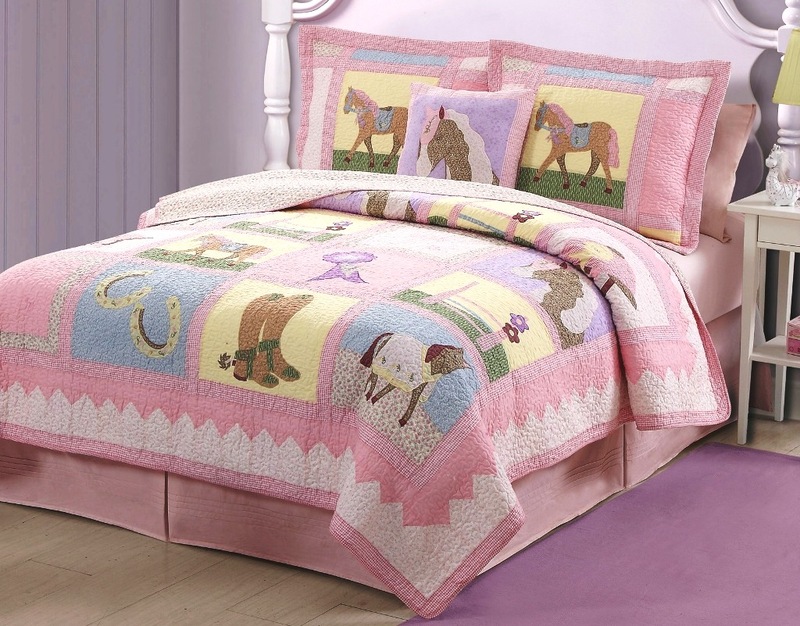 For the cowgirl at heart, she will be delighted to have her room filled with a prize-winning new look! 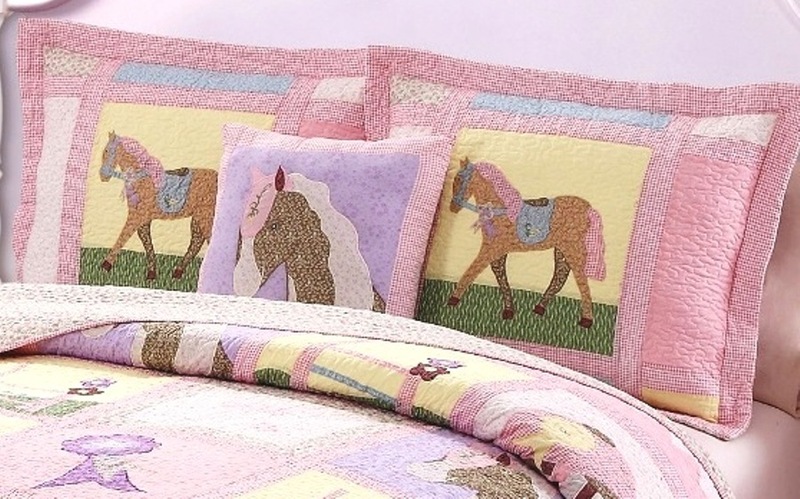 Featuring appliques of pretty ponies, flower-laced horseshoes, show ribbons, and other equestrian details. Charming patchwork prints of flowers and gingham pastels in light pinks, and accents in lavender, pale yellow, and sky blue. Embroidery adds detail to this quilt with the words "giddy up" stitched throughout. Reverses to a coordinated print of tiny pink flowers on a light pink background. Set includes quilt and 2 matching shams (1 sham for the twin set).